Trans-Ferir: A NÃO PERDER! TRAGA OS SEUS AMIGOS E ALUNOS! um dos mais destacados sociólogos actuais !!!!! At Lancaster University, John Urry has been Head of the Sociology Department (1983-9), Dean of the Faculty of Social Sciences (1989-1994) and the University's Dean of Research (1994-1998). Also he was Chair of HEFCE's Research Assessment Exercise Sociology Panel (1996 and 2001). His original research interests were in the sociology of power and revolution and this resulted in Reference Groups and the Theory of Revolution (1973) and Power in Britain (1973). Early work at Lancaster was in the area of social theory and the philosophy of the social sciences. This resulted in the jointly written Social Theory as Science, (1975, 1982), which set out the main features of the realist philosophy of science. Critical confrontation with a number of Marxist traditions, of Althusserian structuralism, German state theory, and neo-Gramscian, resulted in The Anatomy of Capitalist Societies (1981). Research in the 1980s and 1990s last twenty years has focused on five main areas. First, there was the urban and regional research mainly associated with the Lancaster Regionalism Group. Collaborative research resulted in Localities, Class and Gender (1985) and Restructuring. Place, Class and Gender (1990) Two particular themes have been pursued: the relationship between society and space (as in the Social Relations and Spatial Structures, co-edited with Derek Gregory, 1985); and the possibilities of developing local economic policies (as in Place, Policy and Politics, 1990). The second area of research has been in the more general dimensions of economic and social change in western capitalist societies. This has resulted in three jointly written books, Capital, Labour and the Middle Classes (1983); The End of Organized Capitalism (1987); and Economies of Signs and Space (1994; latter two with Scott Lash). Third, research focused upon one particular set of industries that are of particular significance in contemporary western societies, namely consumer services and especially tourist-related services. The economic, social, environmental and cultural implications of such developments can be seen in The Tourist Gaze (1990, 2002: 2nd edn. ), Consuming Places (1995), Touring Cultures (1997, edited with Chris Rojek), Tourism Mobilities (2004, edited with Mimi Sheller), and Performing Tourist Places (with J-O Barenholdt, M Haldrup, J. Larsen). This concern was extended to issues of environmental change and the 'sociology of nature' see Contested Natures (1998) and Bodies of Nature (2001) (both with Phil Macnaghten). Fourth, there are various research projects and publications relating to the changing nature of mobility. Publications include: Sociology Beyond Societies: (2000), a special issue of Theory, Culture and Society, (Aug 2004 on Automobilities coedited with Mike Feathersone, Nigel Thrift); Mobile Technologies of the City (2006; coedited with Mimi Sheller). 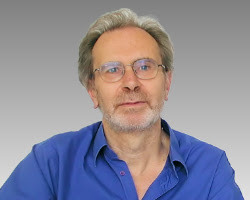 John Urry also directs the Centre for Mobilities Research. Finally , John Urry has been exploring some implications of complexity theory for the social sciences. Publications here include Global Complexity (2003), and Complexity, a special double issue of Theory, Culture and Society (2005). He is also one of the founding editors of the new journal Mobilities, and has been the editor of the International Library of Sociology since 1990 (Routledge). 1988 Contemporary British Society, Polity (with Nick Abercrombie, Alan Warde, Keith Soothill, Sylvia Walby). 1990 Localities, Policies, Politics. Do Localities Matter?, Hutchinson (co edited with Michael Harloe, Chris Pickvance). 1990 Restructuring. Place, Class and Gender, Sage (with other members of the Lancaster Regionalism Group). 1990 The Tourist Gaze, Sage. 1989-96 Schools of Thought in Sociology, General Editor of 18 vols, Edward Elgar. 2005 Automobilities. London: Sage (co edited with Featherstone, M., Thrift, N.) 285 pp. 2005 Sociologie de Mobilités: Une nouvelle frontiére pour la sociologie?, Paris, Armand Colin, 251pp.